When preparing for a tour or prepping your artist for an upcoming show and travel, it is reasonable to assume that you may forget some things here and there. Sure, forgetting to pack extra guitar picks is nothing to sweat, but forgetting to protect the future success of your band is no laughing matter. Going on tour without acquiring a touring insurance policy, leaves yourself and your band vulnerable to costly liabilities that could fiscally destroy the future of your band. Touring insurance is a type of coverage that is offered to musical acts, bands and entertainers that travel on the road to perform. This insurance policy is flexible and is designed to cover a wide variety of common liabilities that can arise while on tour. Ranging from liabilities when traveling between shows to liabilities while performing, insurance is the key to protecting your band’s future. Coverage also extends to any equipment, equipment rentals, automobile liability, and damage to any property that’s owned or rented by a third party. 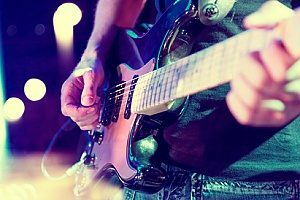 Having touring insurance protects both your music production company and your band from any costs associated with damages or losses that may occur while on tour. With general liability coverage under an insurance policy, you and your band will be covered from the costs of any audience members being injured. For example, if your band invites an audience member up to the stage to energize the crowd and they trip over a microphone cord and hurt themselves, without insurance you and your band potentially face heavy damage and injury costs. With touring insurance, those injury and damage costs are protected under your policy and do not have to be an out of pocket expense. It will also cover any legal costs if the third party were to sue for injury and damages. Before planning your tour, consider the indemnity requirements and ensure that your are not responsible for liabilities that you may have no control over. By acquiring touring insurance, you can avoid uncertain risks to your band, the fans, equipment and most importantly, your future success. Simply put, anyone planning or currently touring should acquire touring insurance. With all of the potential risks that loom during each performance, touring insurance provides protection from a range of potential liabilities can save you money, protect your band’s reputation, and ensure that damaged equipment can be affordably replaced. If your band rents equipment like laptops, musical equipment, instruments, or electronics from a third party during the tour, touring insurance is vital. If anything were to happen to that equipment while it’s in your possession, you want to be covered and avoid paying out of pocket expenses to replace or fix damaged equipment. In addition to damage costs associated with any equipment rentals or any injuries to audience members, touring insurance covers vehicle damage, equipment that is in transit, and workers compensation claims. If your band has to cancel a show while on tour, having insurance will protect your band from suffering a monetary loss. Depending on the policy, the music production company and your band can recoup any loss of income associated with the canceled performance. A touring insurance policy may also cover your band in the event that you have to reschedule a performance. Any costs associated with venue booking, ticket sales, or concert promotion may also be covered with your policy. If you rent a vehicle when touring on the road, having a touring insurance policy will keep you and the vehicle protected. In case of an accident or theft, an inland marine insurance policy will protect your band from paying the full costs associated with the damages to the vehicle or theft related damages. While the car rental agency will have its own insurance policy, there may still be a deductible or additional costs associated with any damages. 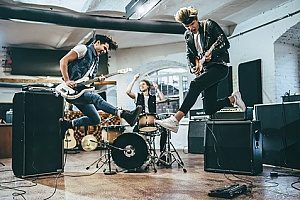 Why risk the future success of your band when you can acquire touring insurance that will let you and your band focus on the music and your rise to fame. At MFE Insurance, our knowledgeable entertainment insurance brokers can help keep you and your band protected. Contact MFE Insurance for more information about touring insurance and how to apply for a policy. Previous Post: « How Do I Protect My Production Crew from Travel Accidents?